The group’s Executive Board has issued an official statement opposing all laws that “unduly interfere with patient-physician relationships” and compromise patients’ health care for political gain. The Supreme Court will not intervene in a Colorado dispute over barring anti-abortion protestors from displaying graphic images in places where they may be seen by and upset children. at least during marathon season when lots of families with children are all coming down to watch the race. It’s consoling to remember that the more extreme things get, the sooner the pendulum will swing back. 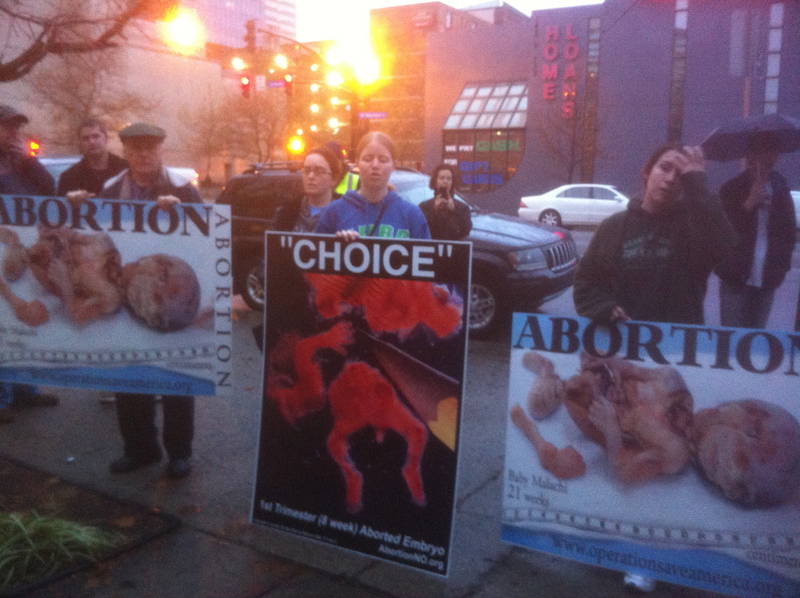 This entry was posted in reproductive rights and tagged abortion, Access, EMW, Louisville KY, sexual and reproductive justice by Fausta. Bookmark the permalink. Not much better here in Iowa. The Governor signed a bill that makes patients who had abortions seek approval from him for medicaid reimbursement (http://tinyurl.com/kh4wxl2). Thankfully however a lot of the more extremist stuff gets passed in the GOP controlled Iowa House but doesn’t go anywhere in the Democratic Senate. Yes, that’s a ridiculous too. Thank goodness for the Senate. the sooner the pendulum will swing back. I know, I know… just looking for the silver lining today.